New stuff comes out so fast in CA, and much of it is fairly cheap, so we just toss the old and move on. It seems like when we were kids in Buena Park, our parents were real sticklers about taking care of our stuff – especially parents who grew up in the Depression. You know, hang up your clothes, polish your shoes, put away your toys. If something got lost or ruined by neglect, tough, we had to do without. Huntington Beach motorists couldn’t afford new cars very often, so we tried to make them last as long as we could. It’s a good thing that cars are more reliable these days. They just don’t break down as often. And the good news for us Huntington Beach penny pinchers is that a modern car can easily go 200,000 miles with proper care. The engineering’s there and so is the manufacturing quality. The missing ingredient is us making sure we follow the vehicle manufacturer’s maintenance schedules. It’s also even more important for older vehicles in the Huntington Beach area. Those engines and other systems have had more time to get dirty, so they’re working harder anyway. But it’s never too late for Huntington Beach drivers to get back on track with essential maintenance and to hold off further pricey damage. It’s just another example of our parents knowing what’s best. (Surprising how often that happens.) And it really does start with the oil change, just like Dad said. When you get a full service oil change they top off all your fluids and check for other items that are on your maintenance schedule. That’s like your safety net; go in for oil changes on time, and let your service specialist at Sully’s Auto Repair in Huntington Beach help you keep track of the rest. Of course, it is inevitable for Huntington Beach auto owners that some things are going to wear out along the way – important stuff like alternators, water pumps and such – they don’t last forever. But that stuff is cheaper than a new car payment. And taking care of problems early means they have less time to cause other problems. It’s like having high cholesterol; you don’t want to wait for a heart attack before you address it. It is critical for Huntington Beach motorists to replace their timing belts as recommended in their owner’s manual to avoid unnecessary breakdowns. Ask the team of professionals at Sully’s Auto Repair in Huntington Beach if it’s time for your timing belt to be replaced. Why are wheel bearings important for Huntington Beach motorists? It’s simple: your wheel bearings keep the wheels on your vehicle. In today’s Sully’s Auto Repair post, we’ll discuss more about wheel bearings and how you can make sure they can do their very important job while you drive around La Palma, CA. Even though wheel bearings are pretty straightforward, they need to be in near perfect condition to do their job for Huntington Beach car owners. The bearings are packed with heavy grease to lubricate and protect them. A seal keeps the grease in and water and dirt out. It’s when the seal starts to leak that problems begin. The grease can become contaminated; causing the wheel bearings to overheat and ultimately fail. The first sign that your wheel bearings are in trouble is an unusual noise coming from a wheel. It could be a chirping, growling, rumbling or a cyclic sound. The noise could get louder or even disappear at certain speeds. Your service specialist at Sully’s Auto Repair can inspect for bearing wear by lifting the vehicle and checking for play in the wheel. Now some wheel bearing assemblies are factory sealed. That means that they cannot be serviced – they can only be replaced. Those that aren’t sealed can be serviced on schedule at Sully’s Auto Repair. The bearings are removed, cleaned and inspected. If the bearings are still good, they’re re-installed – if not, they’re replaced. They are then packed in grease and a new seal is installed. If your vehicle has a factory sealed wheel bearing assembly, the entire assembly needs to be replaced when trouble arises. Unfortunately, the parts are pretty pricey – but they usually last about 150,000 miles as long as the seals hold up. So what happens to Huntington Beach motorists if wheel bearings fail? Well, the wheel can literally fall off the vehicle. I don’t need to tell you how dangerous that could be. So check with your service specialist at Sully’s Auto Repair and see if your vehicle’s wheel bearings can be serviced and when it’s recommended. Listen for warning signs. If you’ve been fording streams or puddle surfing after rainstorms, be especially vigilant. Visit the automotive professionals at Sully’s Auto Repair for a wheel bearing inspection, or for suspension service. Call (714) 841-1245 for an appointment. How do Huntington Beach motorists know if an odometer is telling the truth? If the seller tells you the mileage isn’t accurate, there’s not much chance of putting a good number to it; And there’s the unscrupulous seller who claims the reading is true, but it’s not so. What can Huntington Beach auto owners do? First, you can go to www.CarFax.com, where for a small fee, they’ll give you a comprehensive vehicle history search on your SUV, showing local Huntington Beach, CA ownership history, accident reports, total-loss events, manufacturer buybacks, Lemon reports and warranty status. Huntington Beach auto owners can get a mileage history by checking with the local CA DMV (or wherever you happen to be) and other verified sources looking for inconsistencies in the mileage reported when the car’s bought and sold. If there are signs odometer rollback, now you’ll now. Most Buena Park folks worry about running out of gas or having a breakdown on the side of the road. That is why we practice preventive maintenance on our vehicles — that and to keep our repair bills down. But one important part of preventive maintenance that may get overlooked by Huntington Beach auto owners is a periodic alignment inspection. Poor alignment causes tires to wear rapidly, unevenly or both. This means they will have to be replaced early, and new tires are more costly than an alignment check in Huntington Beach. Bad alignment can also cause damage to suspension and steering systems, which can be expensive to repair in Buena Park. One or more wheels on your SUV can be knocked out of alignment by running over a curb or a pothole on a bumpy Huntington Beach street. An accident, even a minor one, that involves a wheel on your car can lead to misalignment. The small bumps and bangs of everyday Stanton driving can also gradually put your wheels out of alignment. If you have had wheel damage to your SUV, or if you suspect that your wheels are out of alignment, you should get your alignment checked NOW. Any Sully’s Auto Repair service specialist will give you that piece of auto advice. But good car care suggests that you also get your alignment inspected on a regular basis. At Sully’s Auto Repair in Huntington Beach, we can take care of that for you. Your owner’s manual or Sully’s Auto Repair service advisor can give you a suggestion on how often your alignment should be checked. If it doesn’t, then once a year is a good rule of thumb. However, if you drive a lot and especially if you drive on rough surfaces a lot, then you may want to consider a diagnostic examination more often. Ask your friendly service advisor for a recommendation. Huntington Beach auto owners should also check the wear on their tires. If they seem to be wearing out too quickly, or if you notice that a tire is wearing on one side more than the other, you should get your alignment checked. This may seem like a lot of bother for Cypress drivers, but it’s a lot less trouble than a blowout or an accident. The old adage is good auto advice for all Huntington Beach residents: an ounce of prevention is worth a pound of cure. Service to a vehicle’s power steering system is a vital part of preventive maintenance for smart Huntington Beach motorists. This system provides power to the steering wheel so you can turn it with ease. Without power steering, all of the power to turn your SUV’s wheels would have to come from you. Huntington Beach motorists should remember that fluid levels in the power steering system should be checked at every oil change. Low fluid levels can damage the pump, which can be expensive to repair. Low fluid levels may also indicate a leaky hose in the power steering system, so it is a good idea to inspect the hoses, especially if your fluid levels are low. Power steering fluid breaks down over time, losing its effectiveness. It also gradually collects moisture, which can lead to corrosion in the steering system. So the fluid needs to be replaced occasionally. You should check with your owner’s manual or ask your friendly Sully’s Auto Repair technician to learn how often this fluid should be replaced. When your fluid is replaced, your friendly Sully’s Auto Repair tech will remove the old fluid and replace it with new. Power steering fluids are not all created equal; the fluid has to be compatible with your hoses and seals. Your Sully’s Auto Repair service specialist can ensure that you get the right fluid for your vehicle, or you can consult your owner’s manual. Signs that your power steering system is in trouble can include the following: a steering wheel that is hard to turn, auxiliary steering power that cuts in and out, or a whining sound coming from the pump. Also, Huntington Beach motorists who are not topping off the power steering fluid on schedule may hear squealing coming from the engine belts. Preventive maintenance for your steering system primarily involves the power steering components, but your steering system has other parts that can wear out or be damaged by rough CA driving conditions. Such parts include the ball-joint, idler arm, steering gear, steering-knuckle and tie rod. Signs that they are in need of attention include play in the steering wheel, a vehicle that wanders, uneven tire wear and a steering wheel that is off-center. Huntington Beach car owners should have their alignment checked annually. This check-up can reveal bent or damaged steering components. For answers to other questions about your steering system, or for auto advice on any type of vehicle maintenance, check with the team at Sully’s Auto Repair. We can steer you in the right direction when it comes to quality car care. People near Huntington Beach CA often ask Sully’s Auto Repair how often they should have a particular service done. It’s a great thing to ask. You can look at your owner’s manual, or have your Huntington Beach CA service advisor at Sully’s Auto Repair look up your vehicle in a service database. What you find is often a surprise to people – there are actually two service schedules. One is the regular schedule and the other is the severe service schedule. Service intervals are shorter on the severe service schedule. When asked, most folks in Huntington Beach CA will say that their driving is normal and that the ‘regular’ schedule probably applies to them. ‘Severe service’ sounds pretty extreme – ‘I don’t drive like that’. Picture a line with ‘regular’ on one end and ‘severe’ on the other, and make a judgment on where you fall. If your regular oil change recommendation is 5,000 miles and the severe service recommendation is 3,000 – when should you change your oil? For me, it’s closer to 3,000 miles. For my wife, it’s closer to 5,000 miles. Your Huntington Beach CA auto service advisor at Sully’s Auto Repair will be happy to have this discussion with you and help you sort it out. Contact Sully’s Auto Repair for more information about where to get your airbags checked or replaced. Use a reputable collision repair center that employs ASE certified mechanics (we can offer recommendations at Sully’s Auto Repair). For more information, contact Robert at Sully’s Auto Repair by calling (714) 841-1245. Hello Huntington Beach motorists! You would never like to drink a glass of mud, right? Well, your SUV feels the same way. It needs a steady supply of clean fuel in order to run well and deliver good gas mileage. The fuel filter’s job is to clean dirt and rust out of the fuel before it gets to your engine. A clogged fuel filter can actually choke off the engine so that it won’t start or run. Some fuel filters have a bypass valve that allows fuel to go around the clogged filter so your car will still run. 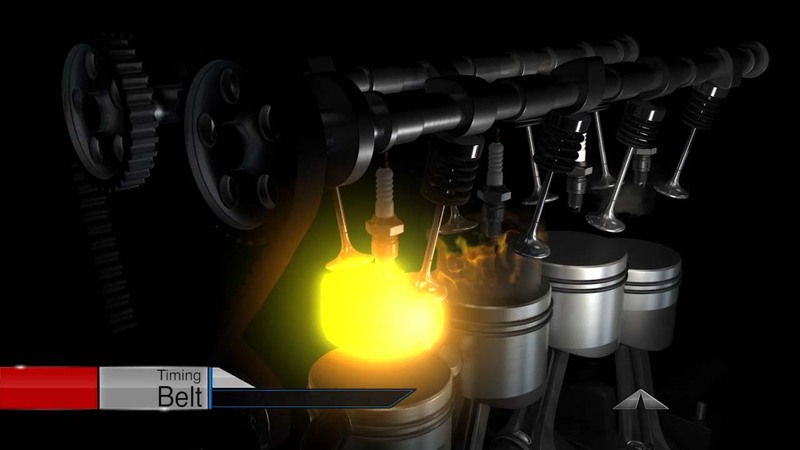 But, then the contaminated fuel can clog your fuel injectors and allow harmful particles into your engine. A car with a partially clogged fuel filter might run well around Huntington Beach, but sputter and strain on the expressway because it’s starving for gas. There are two things that affect how often you need to replace the filter. They are: where you drive in CA and the gas you buy. If you drive a lot on dirt or gravel roads in rural CA, your fuel filter will have a harder time keeping the fuel clean. And, we hate to say it, but buying the cheapest gas from bargain Buena Park area stations sometimes means dirtier fuel that’ll clog the filter sooner. Major brands tend to be cleaner and certainly have higher levels of detergent additives. Of course, manufacturers recommend intervals for changing the fuel filter. But, it’s a little more complicated than that for Huntington Beach drivers. Some vehicle manufacturers stopped listing recommended intervals for fuel filter replacement or have very long intervals like every five years or eighty thousand miles. So you may need to look to other sources for recommendations. Cars older than six or seven years are especially at risk because they have had time for dirt and rust to build up in the fuel tank. A clean fuel filter keeps the gas flowing. Even a partially clogged filter puts added strain on the SUV fuel pump. That can shorten its life and result in a significant repair. As is often the case, spending a little money now on something as inexpensive as a fuel filter can save money for Huntington Beach car owners down the road by improving fuel economy and preventing costly repairs. At Sully’s Auto Repair in Huntington Beach, we can check your fuel filter. It is better than fixing a burned-out SUV fuel pump or ruined fuel injectors. At Sully’s Auto Repair we hear from a lot of people who are excited about the new diesel engines that will soon be available in passenger cars and SUV’s. But our CA friends are often curious about the preventive maintenance requirements. People may not know that diesel engines have long been used extensively in Europe and Asia. In fact, in some markets, there’re nearly as many diesel powered passenger cars as there are gasoline. Here’s who’s announced or is expected to announce new diesels for North America: BMW, Mercedes, Audi, Volkswagen, Nissan, Honda, Toyota, Hyundai and Subaru. Of course, the US auto makers will be expanding their diesel offerings as well. Diesels will become a very big deal here in CA. You may ask, why has it taken so long getting to CA and North America? There are a bunch of reasons like fuel tax policies and such, but the biggest hurtle was that CA diesel fuel had a high sulfur content – too high for the latest generation of highly refined diesel engines. Recent government mandates to remove sulfur now opens up CA to the engines the rest of the world’s been enjoying for a long time. Now diesel engines are heavy duty, so they cost more than gas engines. But they get better fuel economy – so the break-even point is largely dependent on the difference between CA gas and diesel prices at the pump and how many miles you drive. And diesels have a higher resale value.